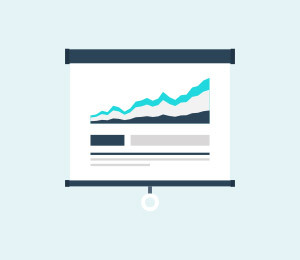 As is known to us, the Android system offers users many benefits such as a great flexibility, customizable interface, and awesome reliability. This is the reason why so many people want to own an Android Smartphone. 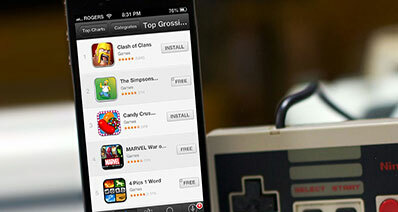 However, sometimes you may have some unhappy experiences with Android due to some system issues. In this article, we are going to list some common Android system issues that perhaps you will face as well as presenting top 5 Android System Repair Softwares that can help you fix various Android system errors and bugs. 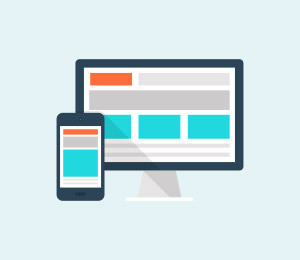 Let us view some common system problems firstly which usually include Fast Battery drain,Connectivity issues,Hanging and lagging issue,Overheating,Unresponsive screen,Memory issue, App crashing issue,Stuck in a reboot loop,Sync issue,Google play authentication problem,,etc. The first software we would introduce is the iSkysoft Toolbox - Recover (Android) , which can help you recover the lost or deleted data on Android after your phone suffer from some system issues as listed above. It is able to help you recover lost Android data in three scenarios, namely, recover data from Android internal memory, from broken phone and SD card. Provide light, humidity, temperature and touch screen pressure sensors. If you are facing some lagging and hanging issues on your Android device, then the System Repair for Android 2017 is a proper solution to fix these issues. This app completely scans the whole Android system to find any threatening malwares, virus, Android system errors and repair the phone instantly. Let’s look at some key features of System Repair for Android 2017. Next Android System Repair Software in our list is a all-in-one app which fixes multiple problems that frequently occur on Android device. 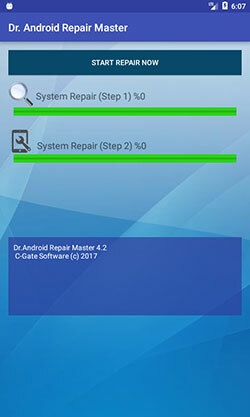 Dr. Android Repair Master 2017 keeps your device away from malicious files, thus helping to improve the phone performance, productivity and fix Android system issues. 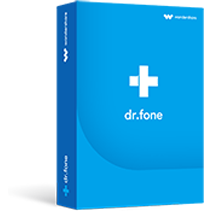 The program can fix various other issues on Android device such as overheating, unresponsive screen, syncing issues, app download issue etc. System repair for Lolipop 2017 is a unique app designed especially for Lolipop powered Android devices. 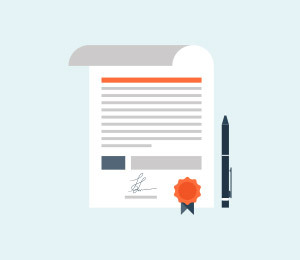 It has a clean and simple interface where you will see a “Start Repair” button directly on the app’s home screen which helps you scan any harmful files that are holding back the device. You can download the app for free from the official Google Play Store and fix Android system issues effectively. 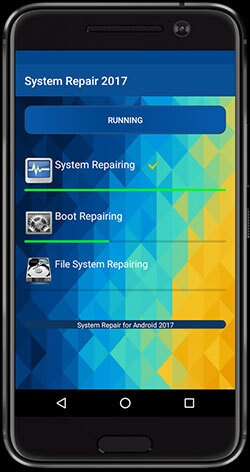 The last app in our list is System Repair 2017 for Android which is another solution for your Android’s system issues. 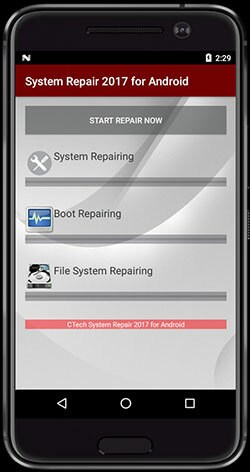 The app consists of three modes namely “System Repairing”, “Boot Repairing”, and “File System Repairing” which works simultaneously to fix various issues and make the Android device fast and lag free. 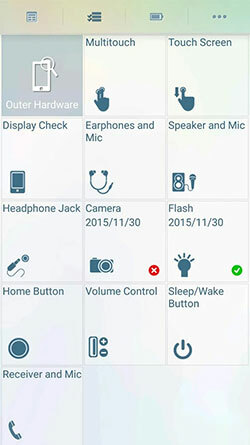 The app shows detailed information about the device such as OS version, SDK version and the model number.